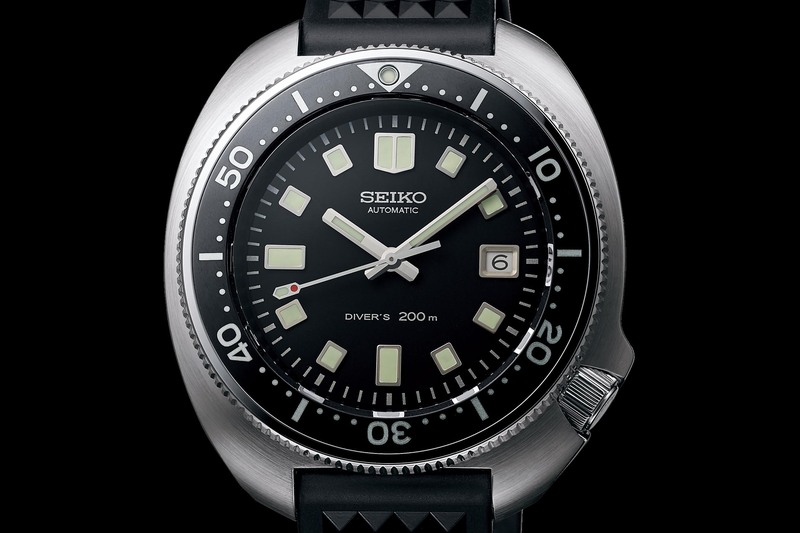 The vintage-reissue story continues at Seiko, with a famed 1970 dive watch - the 6105-8110 - back on track! 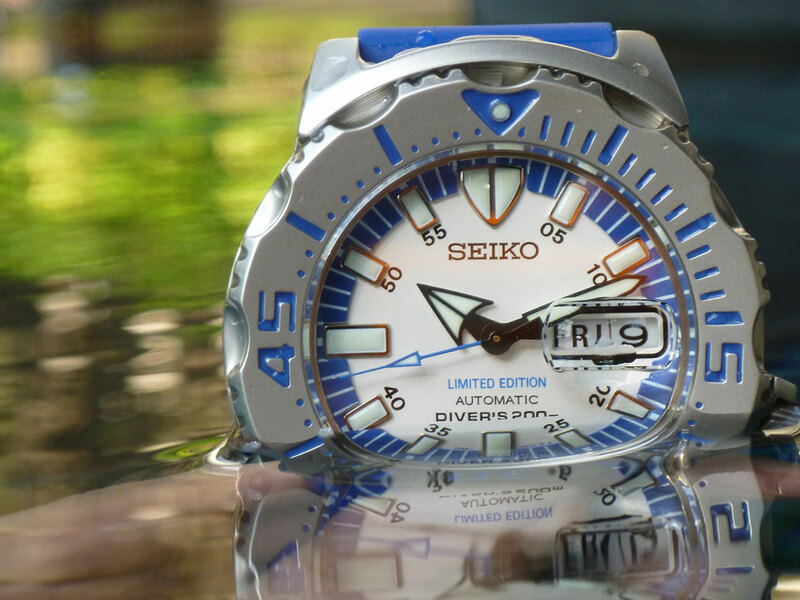 Following the recipe used on the recreation of the 62MAS, with the 2017 reference SLA017, and the recreation of the 1968 Hi-Beat Diver, with the reference SLA025, Seiko is about to bring a new, limited edition diver’s watch that is a faithful recreation of yet another icon, the reference 6105-8110, a 1970 watch that replaced the 62MAS and that was innovative with its turtle case. 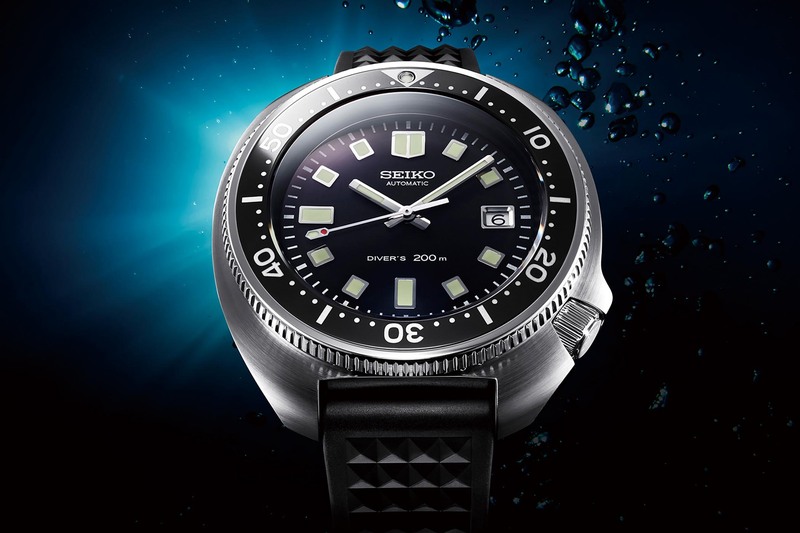 Meet the new Seiko 1970 Diver’s Re-Creation Limited Edition SLA033. After looking at the 1965 Seiko 62MAS – the first professional diver’s watch by the Japanese brand – and at the Hi-Beat 6159 – the first high-frequency diver’s watch – Seiko is now going forward on its timeline of iconic diver’s watches and targets the year 1970. It was the year when the brand introduced an evolution of the 62MAS, the reference 6105-8110, a watch that wasn’t innovative because of its specifications or its movement, but because of its shape. 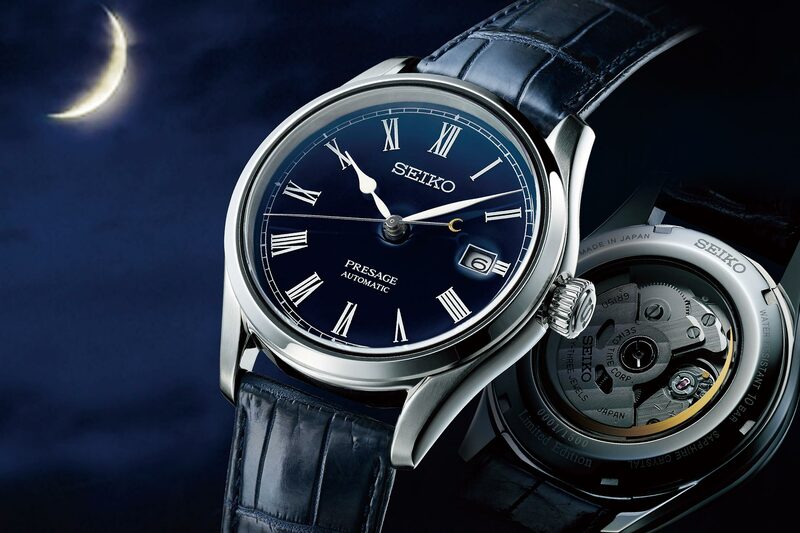 An example of Seiko 6105-8110 – image by Fratello Watches. This watch – in fact, the second execution of this watch to be precise – introduced an asymmetrical case that would become a sort of hallmark for the brand, which was nicknamed “Turtle”. In order to offer as much protection as possible to the crown and the bezel, the casebands were reinforced to a large extent, making the case almost pebble-like. Also, another evolution compared to the 62MAS was the 4 o’clock position of the crown, to make sure it remained accessible when worn. 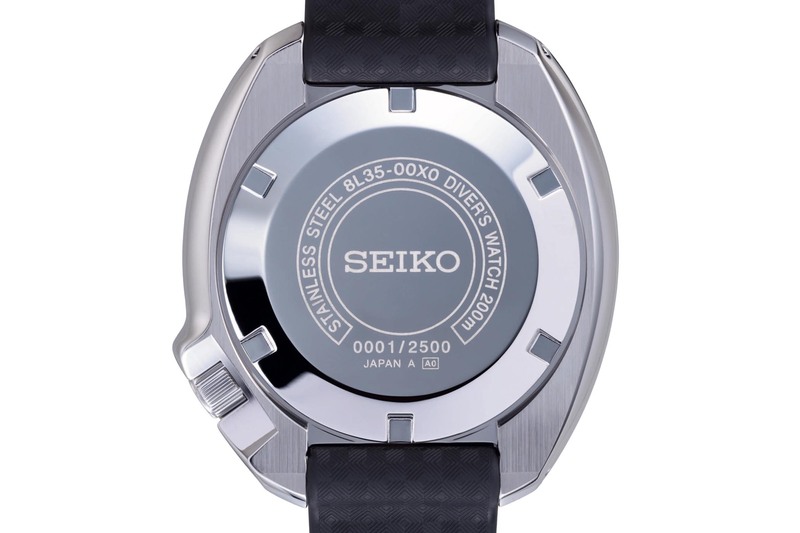 This would also become a hallmark of Seiko Diver’s watches. The shape fully integrated the crown guards and allowed for greater protection against the elements – as well as making it easily recognizable. Just like the 62MAS, it was water-resistant up to 150 metres and featured an automatic movement beating at 3Hz. The bezel was still bi-directional and the case was already large, at 44mm in diameter. This watch gained fame as it was worn by the Japanese adventurer, Naomi Uemura, when he did a solo dog-sled run from Greenland to Alaska, a journey of 12,000 kilometres that took eighteen months. It was also worn by Martin Sheen in Apocalypse Now. For more on this topic, we encourage you to read this post on Fratello Watches by Michael Stockton. Just like in 2017 and 2018 with the references SLA017 and SLA025, Seiko goes for a visually faithful rendition and offers us an almost 1:1 recreation of the reference 6105-8110. However, we must note multiple technical evolutions, with more modern materials, more modern movement and overall improved technical specifications. 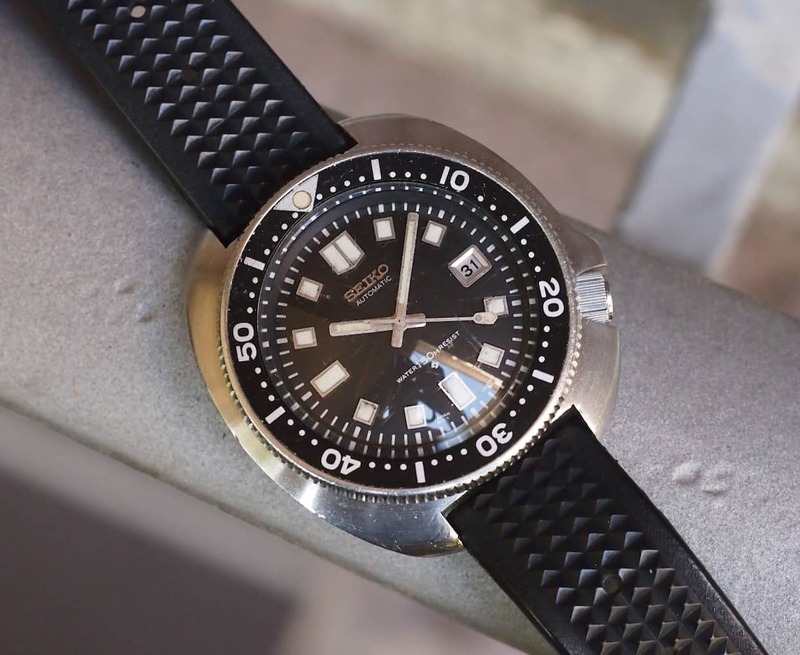 The design of this Seiko 1970 Diver’s Re-Creation SLA033 doesn’t really need explaining… Take the old one and the new one side by side, and it’s almost like if you were next to a new-old-stock model. The case is asymmetrically shaped, with the “turtle-like” design and the crown well protected by the caseband at 4 o’clock. Even the waffle-like strap has been reissued. If the watch is visually close to the original model, some evolutions must be noted. The case is now 45mm in diameter and made of stainless steel, brushed and polished, with a super-hard coating. On top of it sits a modern dual-curved sapphire crystal with anti-reflective coating and the strap is a modern silicone material. Important to note is that the water-resistance is now 200 metres and the magnetic resistance 4,800 A/m. 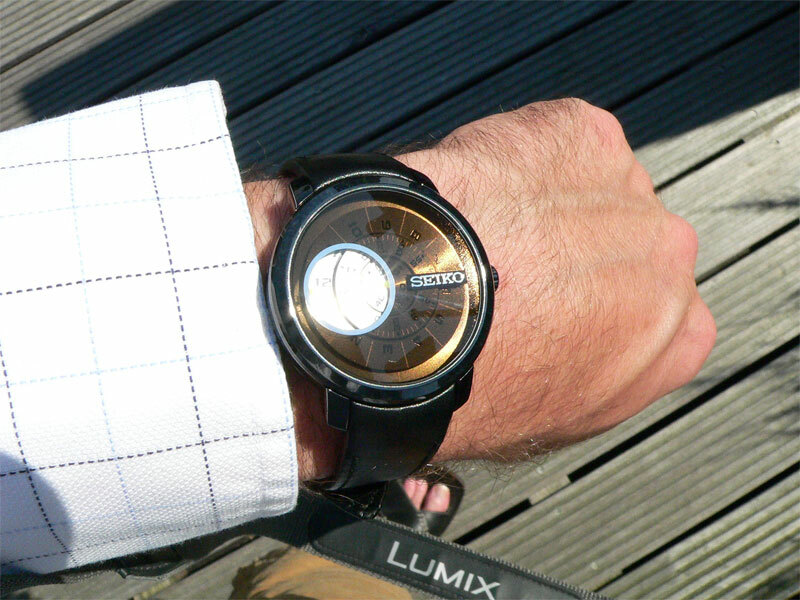 Two invisible concessions have been made regarding the crown and the bezel of the SLA033. The crown now has a classical screw-down construction (previously it was a rather fragile turn-and-lock system) for improved reliability and water-resistance. Second, the bezel now has a unidirectional capacity (something that is necessary to comply with ISO standards). Other than that, the design remains very faithful to the original. 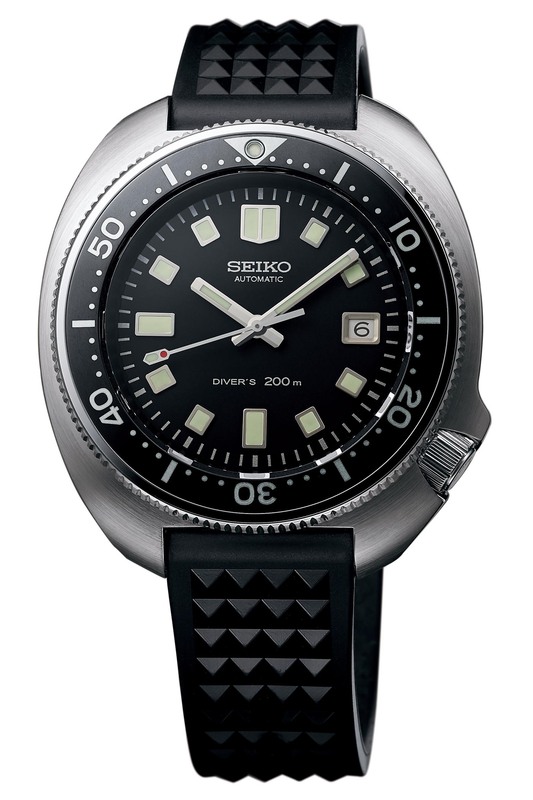 Dial-wise, Seiko stays true to the roots and this 1970 Diver’s Re-Creation SLA033 is a true reissue of the old model. The shape of the hands and indexes, diver’s scale on the bezel, luminous dot, the tip of the seconds hand, date framed by a metallic window… Everything is faithful to the reference 6105-8110. The only evolution concerns the water-resistance indication. Inside the case of the Seiko 1970 Diver’s Re-Creation SLA033 is a modern, higher-end movement, the Calibre 8L35. 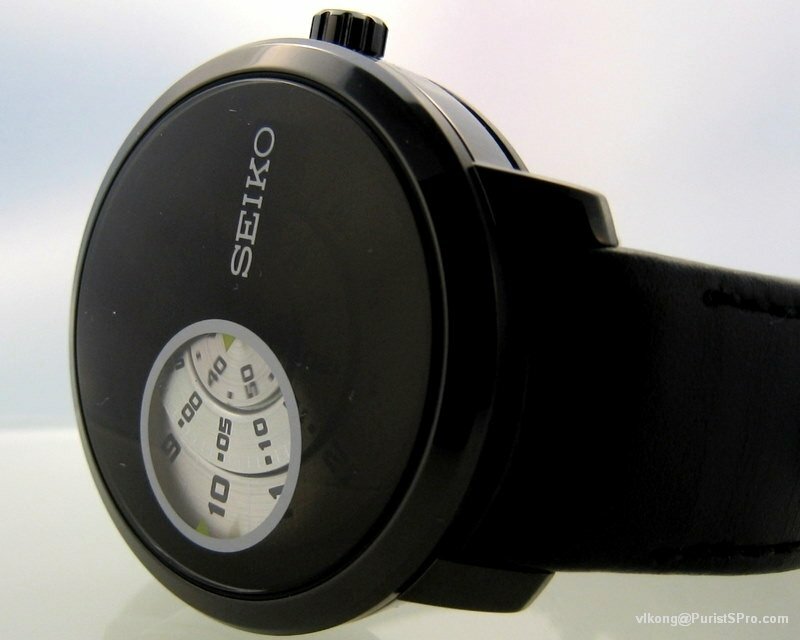 This automatic movement was specially designed for dive watches and is made by Seiko’s skilled craftsmen in the Shizuku-ishi Watch Studio – we’re not talking about an entry-level movement here. This movement is based on the architecture of the Grand Seiko 9S55, is finished in a very pleasant way, boasts 50h of power reserve, beats faster than standard Seiko movements (28,800 vibrations per hour vs 21,600vph in most entry-level Seiko divers) and is hand-assembled and hand-adjusted (rated to -10/+15 sec/day). 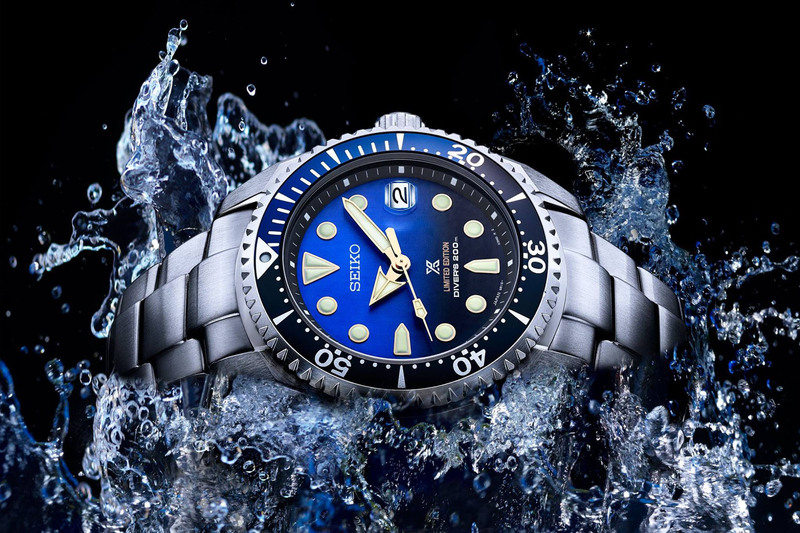 The Seiko 1970 Diver’s Re-Creation SLA033 will be limited to 2,500 pieces and priced at EUR 4,350 – again, not an entry-level price, but so were the SLA017 and the SLA015. More details at www.seikowatches.com. The magnetic resistance quoted is that which is required for the watch to satisfy ISO 6425-2018. P.S. Very much appreciating the Monochrome Watches coverage of Baselworld 2019. Well written articles with great live photos and avoiding much of the “hype” seen on other websites. 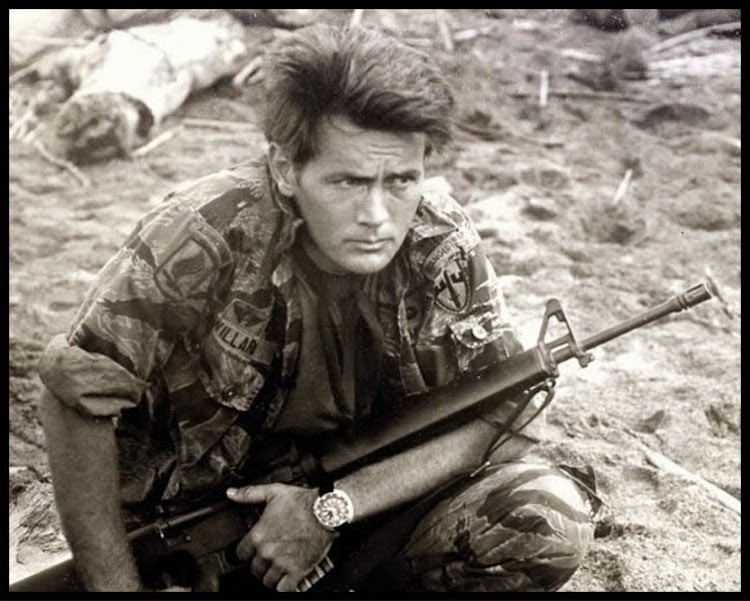 I thought the watch Martin Sheen wore in Apocalypse Now was a Bulova. I watched the redux once again, minimally about 2 or 3 times in a row last season, to where I’m dead-set on either getting a 1675 or 16710 (for the working lume, also not to baby a vintage) and wearing it bezeless on leather like Brando. Now I gotta get one of these for sure, too. On another note, I always find Brice’s articles make for a pleasant read. At the prices these vintage homage models command, and considering the higher-end movements within them, Seiko really should release them regulated for better accuracy. I don’t have an issue paying close to Rolex level money for a Seiko (unlike some watch enthusiasts), but I expect much higher levels of movement regulation/adjustment than what’s offered.